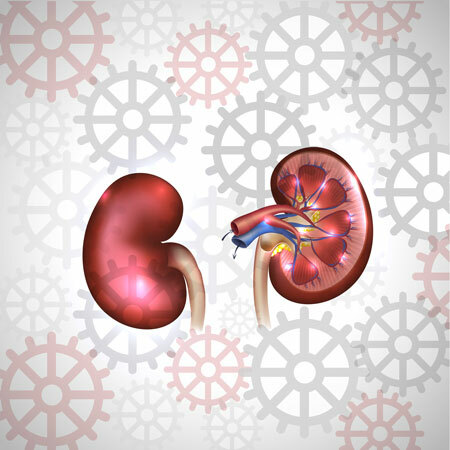 Chronic renal disease (CRD) is a progressive condition that compromises kidney function. Injury and underlying causes are the most common triggers. If left untreated, the condition can lead to end-stage renal disease and eventually death. Because of the life-threatening nature of chronic renal disease, South Africa has identified it as one of several chronic disease list (CDL) conditions that qualify for state-enforced prescribed minimum benefits (PMBs). Medical aid schemes are therefore obliged to fund diagnostic tests, procedures, medicines and consultations relating to chronic renal disease, as outlined in unambiguous PMB treatment guidelines. In the case of end-stage renal disease, which is the fifth and final stage of chronic renal disease, PMBs include the costs of dialysis and renal transplant. PMBs were conceived as a means of conserving scheme members’ funds so that they don’t run out of cover when they need it the most. These baseline benefits cover costs relating to the diagnosis, treatment and on-going care of members, or beneficiaries, with CDL conditions such as chronic renal disease. To control their costs, medical aid schemes are entitled to use funding protocols; designated service providers (DSPs); medicine lists, or formularies, outlining which medicines they cover; and generic reference pricing. Scheme members who opt for out-of-formulary medicines, or choose to use non-DSPs, are expected to fund either all or a portion of the PMB costs themselves. Once a diagnosis has been made and the corresponding ICD-10 code is submitted to the medical aid scheme by the attending healthcare practitioner, PMBs automatically kick in. In addition to mandatory cover for diagnostic tests and on-going management of chronic renal disease, schemes pay for medicines that appear on plan-specific formularies. Chronic renal disease can be initiated by a range of problems such as diabetes, high blood pressure, polycystic kidney disease, infection and the excessive use of over-the-counter drugs such as aspirin, paracetamol or ibuprofen. Treatment is aimed at the underlying cause and generally includes one or more prescribed medicines. Liberty Medical Scheme, for instance, covers an exhaustive list of chronic medicine classes designed to arrest the development of chronic renal disease and improve quality of life. Premium plans typically pay for a larger selection of branded medicines dispensed at a pharmacy of the member’s choice, whereas entry-level options may cover a limited selection of generic options at network pharmacies only. Chronic renal disease is a slow-developing disease that’s associated with a range of complications, some of which are covered by PMBs. Why opt for premium medical aid cover? Although all medical aid plans offer PMBs for chronic renal disease, more expensive, premium medical aid options usually pay for additional investigative tests and more comprehensive treatments. Chat with an IFC consultant today to find out which medical aid scheme and plan is most suitable for your individual healthcare needs.